With a deep passion for not having to wash dishes at night for her massive family or having to endure eating hamburger helper (brother's favorite thing to cook), Linda traded dish duties, with her siblings, for cooking and developed an intense love for planning menus, creating recipes, and producing dinners and events for her family of 15 siblings. As a teenager she could often be found at Barnes and Nobles reading cookbooks, with a fond memory of reading a new book called "The French Laundry Cookbook" for the first time cover to cover. Shortly after she decided she wanted to go to a school for cooking, with no clue it could be a career. Born and raised in Argentina to an American dad and French mom, her background has a mix of many cultures and experiences, which contributes to the mix of flavors she enjoys incorporating into the menu. At 17 years old she landed in the Bay Area to go to culinary school in San Francisco. With stints in New York + Kansas City she made her way back to the Bay and proceeded to stage at some of the finest restaurants including Masa's, Campton Place, The French Laundry and Michael Mina's. During her time working at Gary Danko's she fell in love with a cafe in Potrero Hill called Axis Cafe and spent a lot of time thinking of ways to improve it, although she was convinced she would be in fine dining for life and had plans of traveling all throughout Europe to work at the best restaurants. However, life had other plans and after being asked for months to come work at this cafe she finally made the decision to leave fine dining. Eventually becoming co-owner and then taking over the business entirely and changing the name to Aracely, her daughter's middle name. In 2014 the space in Potrero Hill was demolished and the cafe was relocated to Treasure Island. One year later while pregnant with baby number 2, Linda quietly opened Aracely Cafe. The quiet little corner continues to be a surprise and a joy, bringing so many interesting people, relationships and moments of celebration. 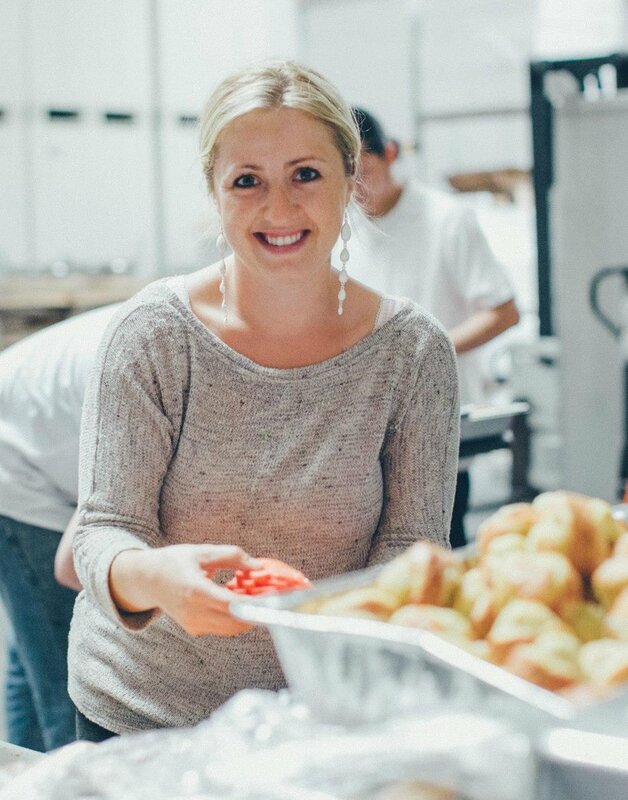 While her passion for food + great wine is still high, a passion for people is what drives her now. She is so grateful to be able to create a space that people can come together, have some great conversations, moments, memories and experiences with others. As the backbone of Aracely Cafe, Ramon has been a vital part of the business and has had a major role of building it from day one. His ability to produce delicious dishes, adjust, adapt, teach and learn has been crucial to the success of Aracely. Hailing from Mexico, Ramon grew up in a large family working on a farm. In 2002 he landed in San Francisco getting a job as a dishwasher and eventually moving up to prep cook and then line cook. In 2008 he was hired at Axis Cafe and was eventually promoted to Sous Chef. During construction of Aracely Cafe he helped open another Bay Area restaurant and returned to Aracely once construction was complete. With a hard work ethic, consistency, and continual passion to learn and improve, Ramon has helped shape the back of the house into a kitchen that consistently churns out fresh baked pastries, delicious flavors, seasonal changes, healthy food and quality ingredients. Sometimes you literally get things dropped at your doorstep, and that is how Lety came to be such an essential part of Aracely Cafe. While working in Linda's neighborhood in San Francisco and taking a break on the stairs, Linda + Lety started chatting, and the rest is history. With an amazing heart for people and universal respect for humanity, Lety has brought a level of hospitality that is at the heart of Aracely Cafe, creating a space that everyone feels welcomed and taken care of. She learned how to hustle and work hard from her childhood days of working on her parents farm in Mexico and eventually moved to Minnesota as a shy young girl who spoke no English, eventually she entered the restaurant industry as a teenager and continued in the industry after moving to California. Her ability to talk to anyone, be a stable mama bear, and bring laughter and joy to the cafe has been a integral part of Aracely's continued growth and health.